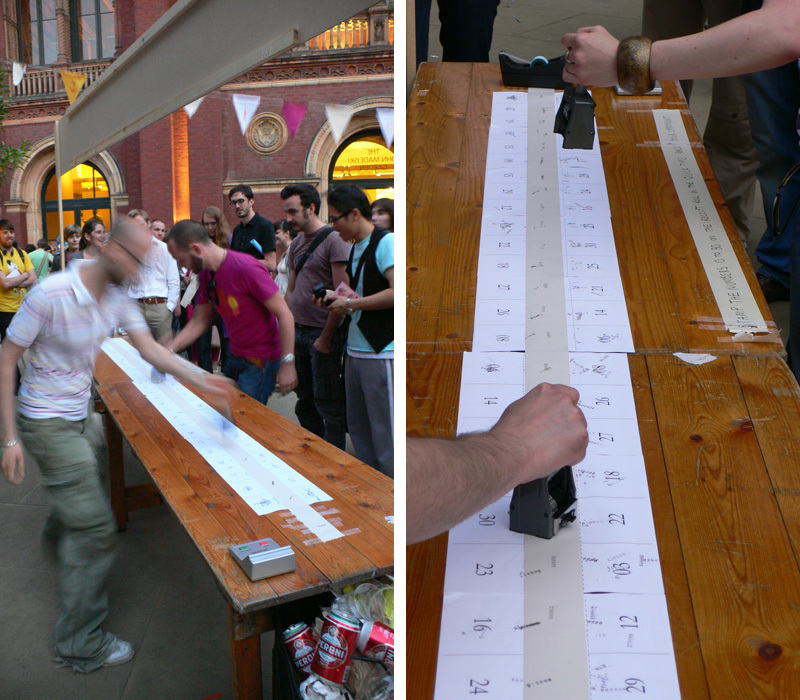 The object of the game is to use a sequential numbering stamp to match numbers 0 - 60 which have been printed onto the table in a random order. Race against your opponent & against the clock. With thanks to Katy Finch, Valerie Tse & Trodat Stamps.